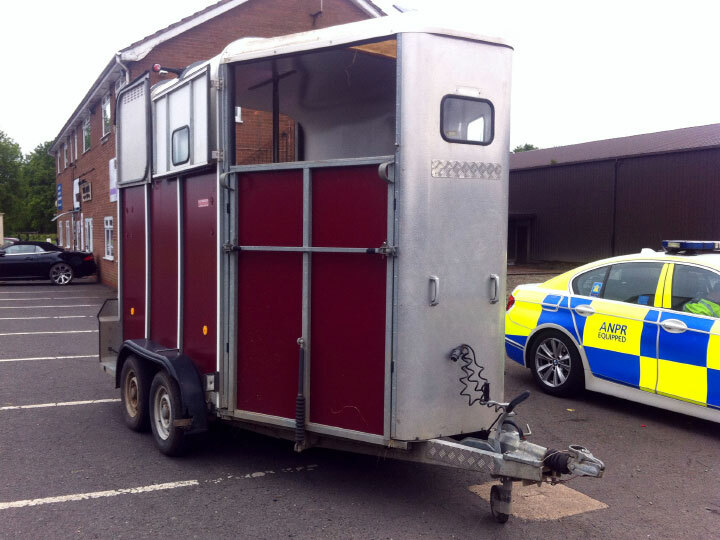 A sharp eyed motorway police patrol officer and ‘state of the art’ Datatag security technology enabled the recovery of a stolen horsebox worth over £10,000. The Ifor Williams trailer was stolen, along with a Land Rover, from a farm in Staffordshire last November and recovered by police in the West Midlands in July. PC Angus Nairn of the Central Motorway Police Group (CMPG) was on patrol in a marked police car on a Sunday afternoon when he spotted the trailer on the M42 motorway. His preliminary roadside check revealed that the serial number plate had been removed and that the laser etched code had been covered with a welded plate (visible in the image), which raised the officer’s suspicions. Knowing that Ifor Williams trailers are fitted with Datatag security systems PC Nairn requested back-up and a second office arrived on the scene with a Datatag RFID scanner within minutes. One quick scan of the trailer revealed the code number of the embedded Datatag RFID tag, installed by Ifor Williams during manufacture. A quick call to Datatag’s 24/7 call centre confirmed the true identity of the trailer and its rightful owner. PC Nairn comments, “Without the use of the Datatag scanner this trailer would almost certainly have slipped through the net. The loser had failed to record the chassis number which caused a huge problem in trying to identify the trailer on the police national computer (PNC). The unique Datatag system was, once again, a valuable tool in our search to find the rightful owner. I recommend the Datatag system to anyone with any trailer, horsebox or plant, if they ever hope to recover their stolen property. Datatag is the one thing that thieves can’t remove completely”. 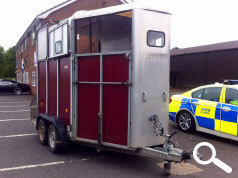 The trailer was seized by the police and the driver arrested. The owner of the stolen trailer, NFU Mutual insurance, will now be able to sell the trailer to recover their insurance settlement. Click this link for further information on the Datatag Trailer Security & Registration System.